$205,000 | 2 Beds | 3 Baths | 1251 Sq. Ft.
GRAND OPENING on SATURDAY, January 27th from 10:00 AM to NOON. Well-maintained. Gorgeous. Beautiful. Clean. Bright. Loved. Delightful. This 2 bed, 2.5 bath, 1-car garage home has been immaculately cared for. We are smitten with appreciation of the open-concept, well-designed floorplan: The kitchen with an island/ breakfast bar, stainless steel appliances, and cabinets aplenty is situated adjacent to the semi-formal dining room; a lovely living room, meant for gathering or just relaxing; Laundry/ mud room off garage. Upstairs you'll find the master retreat you have been looking for: complete with ensuite master bath and walk-in closet. 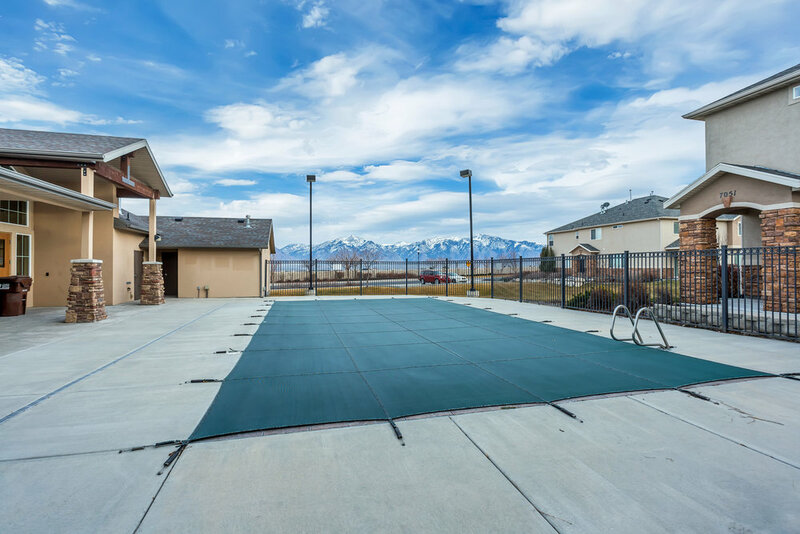 Amberly amenities include: pool, clubhouse with weight and cardio gym, picnic areas, playground, and a basketball court.